Home seamstresses have been buying Bernina sewing machines for more than a century, and this Swiss manufacturer is still a very respected name in the sewing machine business. Bernina machines are especially popular for their ease of use. Whether you're a beginner or an expert, you can find a Bernina machine that will suit your needs. Since 1893, Bernina has been making sewing machines in Switzerland and later, around the world. The hemstitch sewing machine, which sewed about 100 stitches per minute, put the company on the map in 1893. In 1932, the company focused on the home sewing market, working to create the ideal sewing machine for the home seamstress. This early Bernina, known as the Model 105, was a hot seller and helped the company create a reputation that it still enjoys today. No matter what your sewing experience level, Bernina makes a machine for you to consider. The company only sells sewing machines through authorized retailers, and they don't post prices online. However, you can still compare features on the various Bernina models before you head to the sewing machine shop nearest you. 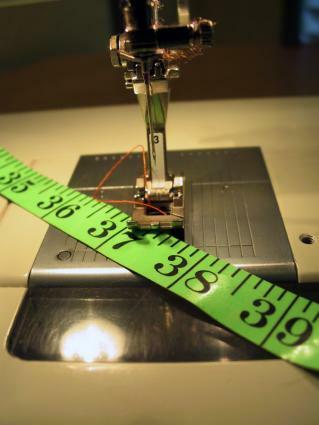 If you're just learning how to sew, the most important quality you need in a sewing machine is ease of use. Although a machine with lots of features may seem exciting, it can be overwhelming when you're still learning sewing techniques. Many people find it easier to stick to mechanical machines or simple electronic options. Bernette 12 - This simple machine is designed for those just learning to sew, including older children. It features 21 pre-set stitches, a low price, and a compact, portable design. It also comes with four feet and other helpful accessories. Bernina 1008 - This mechanical sewing machine is a great option for beginners who don't want to hassle with an electronic keypad. Instead of pushing a series of buttons, you simply adjust the dials to your desired settings. This machine comes with 16 pre-set stitches and lots of accessories. Bernette 66 - If you're looking for a mechanical sewing machine with a few more bells and whistles, the Bernette 66 is a good option. This machine comes with 26 pre-set stitches, several accessories, and a quick-reference system to help you learn your machine right away. If you've been sewing for several years, you may be interested in a machine that can handle heavier fabric and larger projects. It's also handy to be able to embroider designs or monograms on your work or even use your machine to quilt. Bernina 380 - This very popular model is perfect if you plan to use your machine a lot. It has 115 stitch patterns, comes with seven different feet, and is widely regarded as one of the easiest sewing machines to use. Aurora 450 - With 392 pre-set stitches and four different alphabets for monogramming, this machine gives you a lot of options. There are also nine different button hole designs and Bernina's exclusive ability to make and save changes to pre-set stitches. Artista 730E - With its computerized color touch screen and ability to upload designs from your computer, this model is perfect for the expert seamstress who wants to do a lot of machine embroidery. With the optional Mega Hoop, you can even embroider designs that are more than 15 inches long. The Artista 730 comes pre-set with 855 stitches. To buy a Bernina sewing machine, you'll have to go to the nearest authorized retailer. The Bernina website has a helpful Find a Dealer feature. Unfortunately, it's not easy to find these machines for sale on the Internet, but you may be able to find used Bernina sewing machines on auction sites like eBay. Although it may seem like a hassle to go to the sewing machine shop to pick out your Bernina, this actually gives you a chance to try out different models. Learning as much as possible about your machine before you buy will help ensure you get a product you'll love for many years to come.